Yusuke Kawai grew up just outside of Kobe in a “new town,” the Japanese term for a planned community. Kawai, who records music under the name tofubeats, describes his government-developed hometown: “There’s no city center and no local shopping streets like in other towns. Every station has similarly designed shopping malls, just with different names.” They were ideal residential zones, with big-city vice swapped out for big-box chains and department stores. 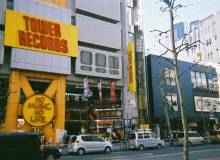 Kawai recalls the only cultural center of any sort being a music shop, rental store Tsutaya and second-hand shop Hard-Off. Yet this space helped develop Kawai’s creativity and shaped his approach to music. As a teenager, he spent most of his time absorbing the CDs available at Tsutaya and used any other free time to hunt down new sounds on the internet. “I tried to find anything interesting around me, but there were always only ordinary things. And so I started to think that I have to remix what I had to make something new.” Kawai spliced up mainstream J-pop sounds and YouTube discoveries into a fidgety style, which helped him connect with like-minded people on message boards. 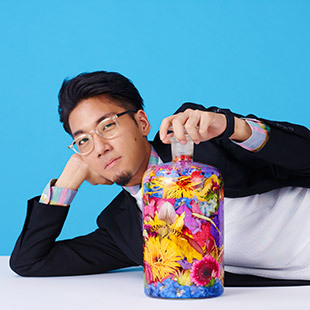 This approach has carried over to his work as tofubeats, a project wherein he gathers ideas from a wide array of sources—American hip-hop, Japanese idol pop, Chicago house—and blends them into something unique, a sound apt for both headphones and dancefloors. This has proven both popular with underground electronic music fans online and with a more mainstream audience, as tofubeats releases music through a sub-label of Warner Music. He’s at the forefront of Japanese artists raised on the internet and thus exposed to everything. Creativity, for Kawai and others of his generation, involves sifting through it all and putting their own spin on it. And trying to push Japanese music in new directions. 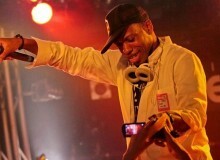 Initially, Kawai created dance music under the moniker dj newtown. 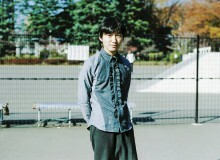 He connected with online “netlabels” such as Maltine Records to share his creations, ranging from sliced-up reworks of anime songs to pitch-shifted electro-R&B featuring Kawai himself rapping through a layer of Auto-tune. His creations got more and more attention, landing him remix work with major J-pop artists and, eventually, the chance to join a major label. Since, he has released two full-length albums and worked with a variety of pop acts, from ‘80s heavyweight Chisato Moritaka to contemporary singer Dream Ami. This position, though, has its challenges. “Major labels are companies too, and so I have to be commercially appealing for them,” he says. 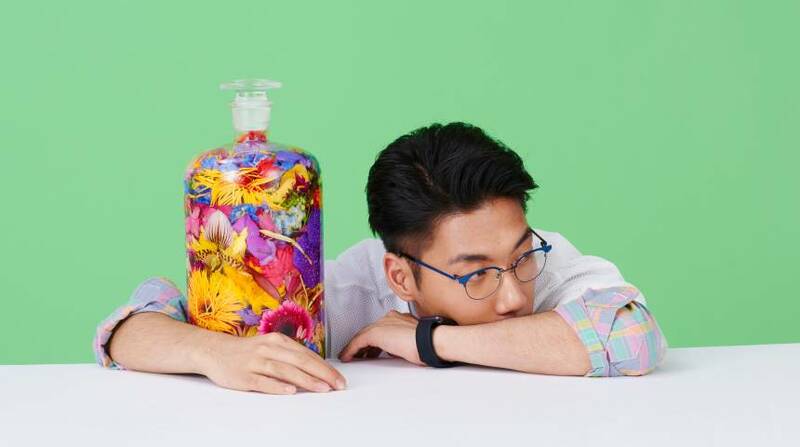 “Otherwise, they don’t let me do more creative jobs, and don’t give me a budget for it.” Kawai admits that keeping tofubeats’ music populist helps keep his creativity sharp. Plus, he’s really good at putting together a hooky number that can work equally well coming out of a fan’s headphones or a TV commercial. But even more impressive is Kawai’s ability to introduce new sounds to listeners. Alongside his radio-ready work, tofubeats’ albums feature more left-field songs, ranging from slow-burning house cuts to a song like “Stakeholder,” which falls somewhere between experimental pop and club banger. “Maybe songs like ‘Stakeholder’ aren’t important for most Japanese people, but the lack of this kind of music from the Japanese major music scene means an audience like myself is deprived of the chance to listen to different varieties of music,” he says. To that end, he’s continuing to try out a variety of sounds, not settling on just one reliable sound. His most recent work, uploaded first to YouTube and music site SoundCloud, is a hip-hop number called “Shoppingmall,” which finds Kawai rapping over a skittery beat and bleary-eyed synthesizer, his voice glazed in Auto-tune. This alone isn’t a new development—he’s been rapping over his music since he started out—but “Shoppingmall” dwells on something not heard often from J-pop: artistic angst and, at times, anger. The opening line goes “What’s real and what’s not?” and from there he questions art versus commerce (“I want to make a classic more than buy a new car”) and even rhymes about not wanting to really talk to anyone at the moment. Kawai says he doesn’t want to limit the listener’s imagination regarding the song but does say it is about “the order of things” in his life. Kawai believes 2017 will see a new tofubeats album (“or albums,” he adds with emphasis on the “s”), and he plans to reach more listeners outside of Japan. In the meantime, though, he has plenty of live shows coming up, and he’s always thinking up new songs. “Listening to music motivates me the most. It makes me feel the best and stimulates my creatively when I listen to great music while taking a walk,” he says. Beyond that, conversations with friends and other producers, along with reading books and magazines (and checking Japanese actor Fujii Mina’s Instagram account) helps get the creative juices flowing. “Oh, I still go to Hard-Off often, and that always makes me feel creative too,” he says, a reminder that the new town spirit that shaped him carries on today.